Get Summaries of The Best Tech and Startup Newsletters | Brand On! Want to keep up with all the latest tech news but feel overwhelmed at the volume? 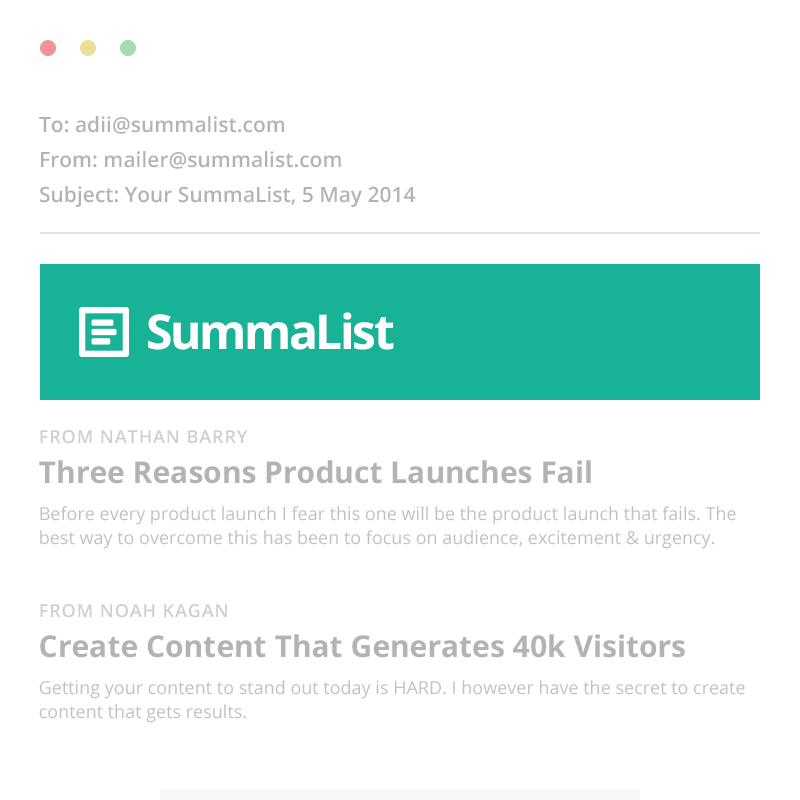 Summalist summarizes 30 of the best technology and startup newsletters in one curated, weekly email. Examples include articles sifted from Makeshift, Buffer and Quibb.